The court denied defendants' motion to dismiss on the ground that plaintiff’s patents for audio and video telecommunications over a hybrid secured network encompassed unpatentable subject matter because the asserted claims were not directed toward an abstract idea. "[Plaintiff's] claims involve an unconventional technological solution (mixing media over hybrid networks) to a technological problem (transporting audio and video data together over low bit-rate networks). The solution includes the use of generic components. . . . However, the claims' limitations necessarily work together to operate in an unconventional manner to provide an inventive system and process to improve the collaboration of audio and video telecommunications. Therefore, the court concludes that [plaintiff's] claims direct a 'combination of elements that is sufficient to ensure that the patent in practice amounts to significantly more than a patent upon the ineligible concept itself.'" Following the Supreme Court decision in TC Heartland LLC v. Kraft Foods Grp. Brands LLC, 137 S. Ct. 1514 (2017), the court denied defendant's motion for judgment on the pleadings that venue was improper and rejected defendant's argument that there was no waiver because plaintiff was not prejudiced. "[Defendant] contends that 'waiver typically requires a showing of prejudice to the other party' and that '[plaintiff] will not be prejudiced by a change in venue given the substantial amount of work that remains' to be done in this case. . . . Courts have found prejudice to be a relevant consideration in determining whether waiver by implication has occurred, but [defendant] cites no apposite caselaw holding that prejudice is relevant to waiver under the express terms of Rule 12. The Court therefore declines to consider whether [plaintiff] would suffer prejudice from a transfer of venue in this case." Following the Supreme Court decision in TC Heartland LLC v. Kraft Foods Grp. Brands LLC, 137 S.Ct. 1514 (2017), the court granted defendant's motion to dismiss plaintiff's patent infringement action for improper venue and found that defendant did not waive its venue defense through its counterclaim. "[Plaintiff's] argument that [defendant] waived its improper venue defense by virtue of its Counterclaim is unpersuasive. [Defendant's] Counterclaim states, '[b]ased solely on [plaintiff's] filing of this action, venue is proper, though not necessarily convenient, in this District pursuant to at least 28 U.S.C. §§ 1391 and 1400.'. . . As long as [defendant] otherwise preserved its improper venue defense, its counterclaims -- directed at [plaintiff's] conduct and connections with the forum -- do not create a waiver." The magistrate judge recommended denying defendant's motion to dismiss plaintiff's patent infringement action for improper venue and rejected defendant's argument that plaintiff's venue allegations were insufficient. "With the burden of establishing improper venue on the defendant, the plaintiff is under no obligation to plead specific facts supporting venue in the complaint. . . . [Defendant's] principal argument -- that [plaintiff's] venue allegations should be more detailed, 'to give Apple a fair and true opportunity to respond to these allegations' -- is therefore without merit. . . . [D]etailed factual venue allegations (as opposed to citation of the venue statute relied upon) are not required, and [defendant] has not submitted a single affidavit or item of evidence establishing that venue is improper." Following the Supreme Court decision in TC Heartland LLC v. Kraft Foods Group Brands LLC, 137 S. Ct. 1514 (2017), the court granted defendant's motion to amend its answer to contest venue and rejected plaintiff's argument that TC Heartland was not an intervening change of law that excused defendant's waiver of its objection to venue. "[Plaintiff] argues, and several district courts have found, that the defense of improper venue has always been available because other patent defendants would have 'ultimately succeeded in convincing the Supreme Court to reaffirm [Fourco Glass Co. v. Transmirra Products Corp., 353 U.S. 222 (1957)], just as the petitioner in TC Heartland did.' But this would have taken some convincing, and until TC Heartland, no defendant succeeded in doing so in the 27 years following [VE Holding Corp. v. Johnson Gas Appliance Co., 917 F.2d 1574 (1990)]. To suggest that the defense of improper venue has always been available, and that TC Heartland did not effect a change in the law 'because it merely affirms the viability of Fourco[,]' ignores the significant impact of VE Holding and the patent bar’s reliance on the case for nearly three decades." ​ The court granted plaintiff's motion for terminating sanctions, including treble damages, attorney fees, and an injunction, for defendant's repeated disregard of court orders. "[Defendant] refused to produce documents relevant to the design, manufacture, and sale of the allegedly infringing products. . . . Defendant failed to produce documents reflecting sales of the allegedly infringing products, and produced a single page summary of sales along with heavily redacted invoices that made it impossible for [plaintiff] to identify customers. . . . [Defendant's] corporate representative failed to appear at the scheduled deposition. . . . In addition to the flagrant discovery abuse and contemptuous behavior exhibited by [defendant], the Plaintiff details in their Motion for Sanctions the numerous attempts by [defendant] to derail this litigation by repeatedly attempting to stay the proceedings, and by filing a last minute emergency motion for a protective order. . . . The undersigned agrees with [the magistrate judge's] assessment of the Defendant’s intentional obstructionist behavior. . . . The Court finds that Defendant . . . engaged in the above-described misconduct with the subjective intent to abuse the judicial process. . . . The Court finds the imposition of these sanctions to be necessary to adequately punish [defendant] for its wanton and repetitive disregard of this Court’s orders and as a consequence of its willful abuse of the discovery process. The imposition of lesser sanctions would underrepresent the seriousness of the offensive conduct." ​ The court granted plaintiff's motion in limine to preclude defendants from presenting the testimony by deposition of an expert whom they fired because it was unduly prejudicial. "'[D]epriving [plaintiff] of a key opportunity to challenge [the expert's] credibility' would be unfairly prejudicial . . . including [the expert's] role as an employee and then consultant to [defendants], his numerous instances testifying . . . and representations made as to the termination of his relationship with [defendants]. . . . Regardless of whether [defendants] may fairly be viewed as having 'procured' [his] absence, the Court agrees with [plaintiff] that 'it would be unfair to permit [defendants] to secure [the expert's] self-serving testimony . . . and thereafter fire him so that [defendants] can play his deposition to the jury and avoid the specter of his live testimony.' While [plaintiff] took extensive deposition testimony from [the expert] (evidently running to four days), [plaintiff] has had no opportunity to question him regarding his termination, and [defendants'] position would leave [plaintiff] with no fair opportunity to allow the jury to evaluate [his] credibility." The court ordered additional briefing on defendant's motion for judgment on the pleadings of improper venue but found that defendant did not waive its venue defense. "Defendant sufficiently contested and preserved its objection to venue in its Answer. Defendant specifically stated in its answer regarding venue: '[Defendant] denies the allegations of paragraph 10 [referring to paragraph in Complaint asserting proper venue] of the Complaint.' The Magistrate Judge also noted a venue dispute in the Initial Case Management Order. . . . Whether certain acts or omissions operate as a waiver of venue accorded by the general venue statutes also waive venue conferred by the special venue statutes may depend upon the policy behind the specific venue provisions, such as the provision fixing the venue of patent-infringement actions. . . . Courts . . . deviate as to what conduct, even when a venue-challenge is initially raised in an answer, amounts to waiver. . . . In the instant case, the Court finds Defendant sufficiently objected to venue in its Answer and that Defendant took no actions thereafter that would constitute waiver." Following the Supreme Court decision in TC Heartland LLC v. Kraft Foods Grp. Brands LLC, 137 S. Ct. 1514 (2017), the court granted defendant's motion to transfer plaintiff's patent infringement action from the District of South Carolina to the District of Utah for improper venue because defendant did not have a regular and established place of business in South Carolina. "Where [defendant] was founded [Charleston, South Carolina], the identity of its South Carolina customers, and the volume of its sales to South Carolina customers are not relevant to the § 1400(b) venue analysis. The presence of a third-party distributing [defendant's] products also is irrelevant. . . . [Defendant] has a single, recently hired employee who does not make sales or interact with customers in South Carolina and who maintains no inventory in South Carolina. . . . Indeed, that [defendant] is not even licensed to do business in South Carolina is practically dispositive in determining that [defendant] does not conduct business in South Carolina through a 'permanent and continuous presence.'" Following the Supreme Court decision in TC Heartland LLC v. Kraft Foods Grp. Brands LLC, 137 S. Ct. 1514 (2017), the court granted defendant's motion to transfer plaintiff's patent infringement action from the District of South Carolina to the District of Utah for improper venue and found the defendant did not waive venue by failing to contest the issue in its first response to plaintiff's complaint. "Waiver . . . is an equitable doctrine. . . . Even if in a literal sense it may be said that the law on patent venue has not changed since 1957, it is reasonable that litigants believe TC Heartland is a change in the law. . . . If the present matter were at eve of trial . . . this Court would hold the venue challenge waived. But litigation in this matter has just begun. [Plaintiff] will not be prejudiced by litigating this matter for the first time in a proper venue. 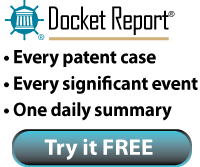 It would be inequitable to deny [defendant] the opportunity to seek proper venue, where no prejudice results to Plaintiff, simply because [defendant] missed the venue-challenge deadline by 34 days because it reasonably relied on what nearly every litigant thought was binding precedent governing patent litigation venue for the past 27 years." The magistrate judge recommended denying defendant's motion to dismiss on the ground that plaintiff’s bandwith allocation patent encompassed unpatentable subject matter because the asserted claims were not directed toward an abstract idea. "Defendants argue the Asserted Claims cover the abstract idea of slowing a delivery by delaying a portion of the delivery, based, in part, on past deliveries. . . . The Asserted Claims are directed to transmitting related data, such as parts of file, at different effective rates, with the second effective rate always being slower than the first. Considered in that light, the claims’ 'character as a whole' is directed to the manner by which data is transmitted between two computer systems -- which is not a law of nature, a natural phenomena, or an abstract idea. And even if the underlying concept is well-known in unrelated fields, Alice's Step 1 requires the Court to focus on the claimed advance over the prior art; Defendants have not produced evidence on that point." Following the Supreme Court decision in TC Heartland LLC v. Kraft Foods Grp. Brands LLC, 137 S.Ct. 1514 (2017), the court denied defendant's motion to amend its answer to add a venue challenge. "In its original Answer to [plaintiff's] Complaint, [defendant] had stated that it 'does not dispute that venue is proper in this judicial district.'. . . [Defendant] thus waived its venue defense. [Defendant's] Motion for Leave, in effect, is an attempt to circumvent this waiver. However, the Advisory Committee Notes are clear that the defenses listed in Rule 12(b)(2)-(5) 'are of such character that they should not be delayed and brought up for the first time by means of an application to the court to amend the responsive pleading.'. . . Allowing [defendant] to amend its Answer to assert improper venue -- after [defendant] specifically stated that venue was proper in its original answer and failed to amend as a matter of course -- would also be unduly prejudicial to [plaintiff], as it would fundamentally alter the nature of the case." The court granted defendant's motion for summary judgment on invalidity because the asserted claims of plaintiff’s computer modeling and electrical system simulation patents encompassed unpatentable subject matter and found that the claims were directed toward an abstract idea. "Despite their length and number, the asserted claims focus on gathering information, e.g., real-time and predicted data values, and analyzing and updating a model with that information, e.g., comparing the gathered data and evaluating the prediction deviations to update the model. . . . Further, the claims recite the idea as a function or result, rather than a particular way of performing that function or achieving that result. . . . The purported solution offered by the claims to the problem of outdated information is to update the model so that it fits more accurately within the real-world data. There is nothing in the claim to suggest that, once the models have been updated, the computer system will be any more efficient." The court granted defendant's motion for summary judgment that plaintiff was not entitled to damages based on its subsidiary's lost profits and rejected plaintiff's inexorable flow argument. "The Federal Circuit has not adopted the 'inexorable flow' theory. . . . The Federal Circuit has 'long recognized that the lost profits must come from the lost sales of a product or service the patentee itself was selling.' Here, [plaintiff's] claim for lost profits includes the lost profits of its wholly owned subsidiary. . . . That [plaintiff] consolidates its financial statements does not demonstrate an inexorable flow of profits from [the subsidiary] to [plaintiff], even if the inexorable flow theory provides a permissible basis to award lost profits." The magistrate judge recommended denying defendant's motion to dismiss plaintiff's patent infringement action for improper venue and rejected defendant's argument that it preserved its venue challenge in its answer. "[Defendant] argues that it properly preserved its venue defense in its Answer because it denied that venue was proper and further stated: 'to the extent the U.S. Supreme Court decides that 28 U.S.C. § 1400(b) is the exclusive statute for determining venue in patent cases . . ., [defendant] reserves the right to amend its answer and/or seek to dismiss this case based on improper venue.'. . . While exceptions to Rule 12(g)(2)’s timing requirement exist for challenges related to failure to state a claim or lack of subject matter jurisdiction, there are no exceptions to Rule 12(g)(2) for venue. [Defendant] thus waived its improper venue defense by filing its Motion to Dismiss for Failure to State a Claim. . . . [Defendant] could have easily filed its 35 U.S.C. § 101 Motion as a Rule 12(c) Motion for Judgment on the Pleadings after the Supreme Court decision issued and any potential improper venue challenge was resolved. Instead, [defendant] proceeded to argue the merits of the case in bringing its first Motion to Dismiss under Rule 12(b)(6)." The court awarded defendant over $1.8 million in attorney fees under 35 U.S.C. § 285 and rejected plaintiff's argument that defendant was not entitled to recover fees for the entire case. "[Plaintiff] ignores this Court’s extensive analysis and review of [plaintiffs] 'wholly inadequate' pre-suit investigation. . . . Indeed, [plaintiff] concedes that its assertion of the contributory infringement claim in its amended complaint was indefensible in light of its admission that [defendant's] accused products had substantial non-infringing issues. [Plaintiff's] attempt to reduce [defendant's] fee claim to one that is anchored to individual abuses of minor portions is inimical to the Court’s consideration of the totality of the circumstances. . . . When an exceptional case finding is supported by the 'totality of the circumstances,' it would be illogical to constrain a fee award to specific instances of misconduct." The court granted defendant's motion in limine to preclude plaintiff from presenting evidence of joint infringement because plaintiff did not plead that theory in its complaint. "[Defendant] points out that [plaintiff's] complaint does not reference a claim for joint infringement. . . . [Plaintiff] responds that joint infringement is a theory of direct infringement that [defendant] has been aware of since [plaintiff's] infringement conditions, which asserted that [defendant], and its customers, directly infringed the asserted patents. . . . [Plaintiff's] allegations in its complaint do not state a plausible claim for relief under a theory of direct joint infringement. [Plaintiff] has alleged no facts demonstrating that either (1) [defendant] exercises direction or control over its customers’ performance or (2) that [defendant] and its customers form a joint enterprise. . . . Thus, [plaintiff] it should be excluded from offering argument, testimony, or evidence regarding such a claim of infringement." In a trademark case, the court awarded plaintiff $1,554,028.45 for attorney fees against a retail superstore defendant because defendant's litigation conduct and willful infringement made the case exceptional. "First, there has been an unusual discrepancy in the positions taken by the parties in this matter. As previously noted at summary judgment, [defendant] decided to use the [asserted] mark despite being twice warned by its own attorneys not to do so and despite being aware of [plaintiff's] trademark registration. This fact alone marks this case as unusual and exhibits the discrepancy between the parties' positions in this matter. Despite this holding at summary judgment, [defendant] continued to dispute the willfulness of its infringement in all following stages of litigation. [Defendant] also continually advanced remarkable contentions throughout this litigation, such as the argument that the [asserted] mark was worth 'zero' despite the Court's prior holding that that [defendant's] competing use of the [asserted] mark created a likelihood of confusion and that the mark was commercially strong. This case also presents a particular need for compensation and deterrence." Following a dismissal and covenant not to sue while defendant's 35 U.S.C. § 101 motion was pending, the court granted defendant's motion for attorney fees under 35 U.S.C. § 285 because plaintiff's litigation tactics were unreasonable. "Although the Court agrees that filing a large number of cases does not necessarily mean Plaintiff litigated in an unreasonable manner, it nevertheless finds troubling that Plaintiff has repeatedly dismissed its own lawsuits to evade a ruling on the merits and yet persists in filing new lawsuits advancing the same claims. Specifically, Plaintiff has filed similar lawsuits (more than 90 for [two patents-in-suit] and more than 400 for [another patent]) against countless defendants. Patent litigation is expensive, so it is unsurprising that the vast majority of accused infringers choose to settle early rather than expend the resources required to show a court that the Patents-in-Suit fail under § 101. When the few challenges do occur, however, they are promptly met with voluntary dismissals with prejudice, as in this case. . . . [T]he Court finds a clear pattern of serial filings with the goal of obtaining quick settlements at a price lower than the cost of litigation and the intent to litigate even when Plaintiff should have realized it had a weak litigation position." Following the Supreme Court decision in TC Heartland LLC v. Kraft Foods Group Brands LLC, 137 S. Ct. 1514 (2017), the magistrate judge recommended denying defendants' motion to dismiss plaintiffs' patent infringement action for improper venue because defendants waived the issue through their litigation conduct. "[N]ot only was Defendants’ venue challenge belatedly made, during the time at which [defendant] repeatedly admitted venue was proper, the Court had conducted lengthy proceedings on Plaintiffs’ motion for a preliminary injunction and granted the preliminary injunction. Throughout those injunction proceedings, [defendant] never once challenged venue. Since that time, the Court has conducted numerous additional proceedings, including claim construction proceedings, contempt proceedings, several discovery related motions, and pretrial motions. [Defendant] consented to all of these proceedings without objecting to venue. Accordingly, even if [defendant's] defense had not been waived under Rule 12, which it has, [its] continuous and consistent conduct in this action constitutes waiver." Following the Supreme Court decision in TC Heartland LLC v. Kraft Foods Grp. Brands LLC, 137 S. Ct. 1514 (2017), the court denied defendants' motion to dismiss plaintiff's patent infringement action for improper venue because defendants waived their initial venue challenge through their litigation activity, particularly by seeking to invalidate the patent-in-suit under 35 U.S.C. § 101. "Defendants denied that venue was proper in this District in their answer. . . . Nevertheless, 'merely filing an initial venue objection does not preclude subsequent waiver of the objection.'. . . Defendants have litigated the consolidated action in this Court for approximately a year, including by serving invalidity contentions, filing two motions to stay, filing a motion for judgment on the pleadings, and participating in claim construction. . . . The Court finds particularly important the fact that Defendants filed a motion for judgment on the pleadings seeking to invalidate the [patent] under 35 U.S.C. § 101. . . . [F]iling a motion for judgment on the pleadings on the issue of invalidity prior to filing a motion to dismiss for improper venue 'constitutes a tacit admission on the part of the movant that the court has personal jurisdiction, that venue is properly laid there, and that the court should dispose of the case on its merits.'" The court granted defendant's motion to dismiss because the asserted claims of plaintiff’s multimedia network system patent encompassed unpatentable subject matter and found that the claims lacked an inventive concept. "Considered individually, each step in the [patent] is well-understood, routine, and conventional. For instance, it is nothing new for servers and clients to send requests to each other. Similarly, it is not inventive to require authentications to access content. Nor is it any more inventive to incorporate asymmetric/public-key encryption into an authentication system. . . . The only possible 'non-conventional and non-generic arrangement' in the [patent] is the combination of asymmetric encryption with content licenses. But combining those two concepts is not new. Indeed, the [patent] references two earlier patents that both consider combining asymmetric encryption with licenses to enforce usage restrictions." ​ Following the Supreme Court decision in TC Heartland LLC v. Kraft Foods Group Brands, LLC, (2017), the court partially granted plaintiff's motion to compel venue-related discovery as relevant and proportional to the needs of the case. "Defendant must disclose its total product sales in Oregon, with one exception. . . . [I]nformation on its direct internet sales is unlikely to lead to relevant evidence on whether Defendant has a 'regular and established place of business' in Oregon. . . . Defendant must disclose the activities of third-party vendors of Defendant's products, and Defendant's relationships with these vendors, because such information could lead to relevant evidence. . . . [I]nformation on the activities of Defendant's agents, whether the agent is based in Oregon or not, [and] information on professional services in Oregon retained by Defendant could lead to relevant evidence and is proportional to the needs of the case. . . . Defendant must disclose any substantial amount of personal property it owns, leases, or manages in Oregon, including marketing materials, demonstration equipment, and product literature. . . . Defendant's leases of trade show booths or conference spaces could lead to relevant evidence and should be produced. . . . [Phone number and address] listings created by third parties independently of Defendant are not discoverable, but Defendant must disclose any other listings that it directed." Following the Supreme Court's decision in TC Heartland LLC v. Kraft Foods Grp. Brands LLC, 137 S. Ct. 1514 (2017), the court denied defendant's motion to transfer for improper venue and found that defendant had a regular and established place of business in the forum through its employment of a sales representative in the forum. "At the time this case was filed, [defendant's sales representative in the forum] worked exclusively for [defendant] as a sales executive in this District. [The sales representative] had been working full-time for [defendant] from within the Eastern District of Texas for over seven years. [Defendant] paid [him] a salary and maintained [his] compensation plan online through its human resources department, which outlined his territory and assignments. . . . [Defendant] provided [its sales representative] with 'administrative support' from [defendant's] Minnesota office such that [he] could continue working from his office in the Eastern District of Texas. Under this arrangement, [he] contacted and sold products to customers using an 'office' telephone number with an Eastern District of Texas area code. . . . Technology has revolutionized the way businesses operate and the way consumers interact with those businesses. . . . This important shift has been recognized by many courts." In determining whether defendant maintained a regular and established place of business in the forum for purposes of 28 U.S.C. § 1400(b), the court recognized a four-factor approach consisting of physical presence, defendant's representations, benefits received, and targeted interactions. "Since the Supreme Court’s decision in [TC Heartland LLC v. Kraft Foods Grp. Brands LLC, 137 S. Ct. 1514 (2017)], this Court has received a number of motions to dismiss or transfer based on improper venue. It is evident from these motions, and their subsequent briefing, that there is uncertainty among the litigants regarding the scope of the phrase 'regular and established place of business.' . . . [T]his Court now attempts to provide guideposts to point the venue analysis in a single coherent direction. . . . First, the Court considers the extent to which a defendant has a physical presence in the district, including but not limited to property, inventory, infrastructure, or people. At the most basic level, a retail store, warehouse, or other facility in the district weighs strongly in favor of finding a regular and established place of business. However . . . the lack of a physical building in the district is not dispositive. . . . Other forms of physical presence may also help support a finding of a regular and established place of business, such as inventory or property in the district[,] [and] the presence of equipment or infrastructure that is owned (or leased) by a defendant and used to provide services to customers. . . . Additionally, courts have considered the presence of employees in the district when determining whether a defendant has a regular and established place of business. . . . Second, the Court looks at the extent to which a defendant represents, internally or externally, that it has a presence in the district. . . . Third, the Court considers the extent to which a defendant derives benefits from its presence in the district, including but not limited to sales revenue. . . . Finally, the Court looks at the extent to which a defendant interacts in a targeted way with existing or potential customers, consumers, users, or entities within a district, including but not limited to through localized customer support, ongoing contractual relationships, or targeted marketing efforts."